Everything is more complicated than you think. You only see a tenth of what is true. In Nursing, we talk a great deal about feeling, instinct, intuition. But what is it we are reacting to? I have long been a fan of the concept of the End-of-Bedogram. Our medical colleagues are no doubt familiar with this approach. In it’s simplest essence, the End-of-Bedogram is process of deliberate observational assessment rendered by a clinician from the end of the patient’s bed. 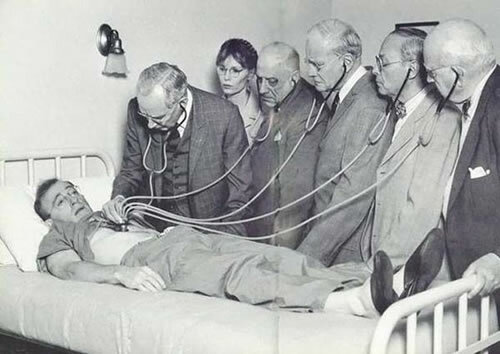 The key application in Medicine is the contribution of this clinical impression to the diagnosis. In Nursing, I prefer to think of the End-of-Bedogram as a contribution to a quick and descriptive assessment of the risk burden our patient carries. As we become more and more pressed for time by the tasks involved in steering our patient through their hospital encounter, our handovers (handoffs) place significant emphasis on what has happened and what jobs need to be done next shift and little emphasis on the observed risks and what might go wrong. If we are to further shift our paradigm from being able to deal with clinical deterioration, to being able to pre-empt it, Nurses need to master the Nursing End-of-Bedogram. Standing at the end of the patient’s bed allow yourself to consciously engage with the scene that lays in front of you. The urine bottle with about 30ml of dark tea coloured urine. The still full bottle of water on the bedside table. The hearing aid, not in the ear but on the bench. The slippers, pilled from years of wear. The smorgasbord of used oxygen delivery devices hanging from the IV pole. Currently nasal prongs in situ. The absence of cards, flowers, personal effects, despite admission day 12. The incentive spirometer sitting miles out of reach and looking as brand new as the day it was unsheathed from it’s plastic packet. The TED stockings hanging over the commode just in sight in the bathroom. The four wheel walker parked in the corner of the room. The pump with a bag of fluids sporting an additive label, connected and running down a line into a cannula in a frail looking arm secured to papery-purple skin. We have taken in so much, before we even begin to look closer at the person in the bed that we will be assuming responsibility for care and guiding safely through this hospital encounter, for our shift and beyond (if we do our job well). This information can quickly inform our level of concern about this person. The trick is deliberately and consciously engaging with the visual information. This gets easier with experience, but can also become more biased by our experiences. So in trying to learn intuition, approach each bed-space, each person as new but run the information through what you know to be true. Inform your snap assessments and judgements with gathering more information. Experienced Nurses, I believe it is our duty to share our mental models with our novice colleagues and teach them to have intuition. At the end of our shift, and this may be the most important thing of all, handover the risk. Make handover about what has happened, who this patient is, what needs to happen and what could happen. Never assume that the person taking over this mission is a master of the art of the End-of-Bedogram. Jesse well said. We are working hard to change the culture in our emergency department to bedside handoff. I liken your ‘intuition’ to ‘clinical sense’. It is amazing the information that can be obtained and assessed in a matter of minutes. Mental models are tough to teach, primarily because I think that certain individuals need to be open to receiving them for them to ever have a chance. 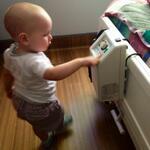 I truly believe bedside hand off is best practice and truly the safest route to take. I hope new ED nurses read this. think. Thanks again for reading. Great piece Jesse. Reminds us all to “assume nothing, check everything and give some oxygen”. There is a lot to be gained by stepping back for a few seconds and surveying the scene, especially as the fresh pair of eyes. Your post also reminds us of the person buried beneath the protocol and policy.